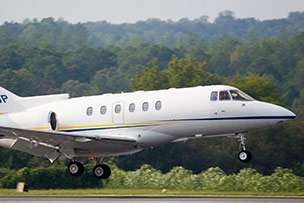 TSA Claims | Stratos Jet Charters, Inc. In a 14-months span between January 2016 and February 2017, there were over 7,900 TSA claims filed for everything from property loss and damage to personal injury. While many of these claims are still under review, claims that were approved in full ranged in value from a few dollars to hundreds or even thousands of dollars. Some airports may even experience more of these claims than others. In fact, JFK International Airport was once described as a “flea market for airport employees,” with reports claiming that more than 200 items are stolen from passengers’ checked luggage every day. To understand these claims better, we studied data compiled by the U.S. Department of Homeland Security that examined TSA claims filed in 2016 and early 2017 – from the items most likely to be lost or damaged to how often these claims were approved or denied. Continue reading to see what we discovered about processes when it comes to TSA claims. So which items are most likely to be lost or damaged? According to the data, the No. 1 items with the most claims was baggage, cases, and purses. People’s luggage was most reported as missing or damaged when passengers landed at their final destination in 2016, accounting for nearly 18 percent all claims reported that year. More than 1 in 10 claims also involved clothing or computers and computer accessories. In fact, baggage and electronics are among the most common items that are damaged when put through security, and checking valuable items at the airport could get them stolen without the owner even realizing. Currency, sporting equipment, and food and drink were the least common items to be mentioned in TSA claims filed by travelers. Of the 7,993 TSA claims analyzed, just over half were resolved as of this writing. Below are the results for the 4,294 claims that were finalized. Less than 1 in 4 claims were approved in full, and 12 percent were settled between the TSA and the traveler engaged in the dispute. In some cases, TSA is likely to deem your claim more valid than others. According to the 4,294 finalized claims from 14-month period we examined, nearly half involving travel accessories were approved in full. These could include low-cost items like charging cables and adapters, as well as toiletry items like shaving kits and hair products. Home decor, which accounted for 239 of the 7,993 total claims filed between January 2016 and February 2017, was approved in full 40 percent of the time, and almost a third of all claims for items classified as food or drink were approved thus far. Less than 10 percent of claims for jewelry were paid in full, despite 831 claims being filed as either lost or damaged. Nearly 3 in 4 claims filed for jewelry were denied as of this writing. In 2015, a TSA agent was arrested for stealing a $7,000 wristwatch accidentally left behind in the security screening area at the JFK International Airport in New York City. Despite proof of items being stolen, many of the nearly 800 claims filed in 2016 for lost or damaged valuables were denied completely. Travel experts recommend never leaving valuable items in your checked luggage when flying, as it can be one of the most common locations for lost, stolen, or damaged goods. More than two-thirds of claims for currency and cameras were also denied in 2016, and more than one-third of claims for travel accessories – the items most likely to be approved in full – were denied in 2016. TSA technically approves some claims without paying the entire amount requested by the traveler, and cases taken to court are settled outside of the TSA process. In 2016, over 1 in 5 claims filed for computers or accessories were settled. In a similar category, 20 percent of claims for personal electronics were also settled. Further, 14 percent of claims regarding sports equipment and supplies, home decor, and hunting and fishing items were settled, as well as 13 percent of personal accessory claims and 12 percent of claims dealing with baggage, cases, and purses, along with cosmetics and grooming. Every other category of items mentioned in TSA claims in 2016 was settled less than 12 percent of the time. Regardless of the nature of the claim, a TSA claim is more likely to be denied than approved. Less than 32 percent of all property damage claims fully processed were completely approved, and nearly half were denied. Just over 1 in 5 claims for property loss processed received full compensation, while 68 percent were completely denied. Between 2010 and 2014, there were more than 30,000 reports of missing valuables, and over 25,000 of those claims came from checked baggage, with another 5,600 occurring at security checkpoints. Which airport is considered the most guilty? JFK International Airport, with more claims of loss and theft than any other airport in the country. Only 5 percent of personal injury claims have been fully approved as of this writing, while nearly half have been denied. TSA paid millions of dollars in claims for approved and settled cases between 2010 and 2014. But there’s still no guarantee you’ll get all the money you feel you’re owed for your lost, stolen, or damaged goods or personal injury. In 2016, cases that were settled averaged a payout of just over $260. Those that were approved in full averaged an amount of $135. The most expensive type of claim was personal injury, when a passenger is hurt while traveling through security measures (including pat-downs) at the airport. Those cases averaged just over $420 for passengers with claims that were approved or settled. Computer-related claims had the highest compensation in 2016, earning passengers just $460 in retribution. Camera claims that were approved earned $320, and hunting and fishing items were worth $268 in damages. Travel accessories and office equipment and supplies were worth the least, earning less than $100 per claim, on average. In 2016, nearly 930 million passengers flew domestically or internationally from the U.S. Of those people, 7,993 claims were filed for injury, damage, loss, or theft of luggage and personal effects at airports. For people with claims ranging from a few hundred dollars to a few thousand, more than half were denied completely. Don’t take a chance with your personal belongings. At Stratos Jet Charters, we believe in exceeding your expectations, and that includes how you think about security. When you fly a privately chartered jet, you often aren’t subjected to standard TSA agents, which means you won’t have to worry about anyone rifling through your luggage. With flexible hourly rates, the safest aircraft operators, and membership perks, flying private with Stratos Jets may be more attainable than you thought. Visit us online at StratosJets.com to learn more. Using TSA Claims data provided by the U.S. Department of Homeland Security, we were able to analyze the types of claims people most often filed against TSA, as well as the most common results in 2016. Don’t just stow this data away. We’d love to see the results of our study shared with your readers for any noncommercial use. We only ask that you ensure a link back to this page so that our contributors earn credit for their work.